Back To Brooklyn Available Now! 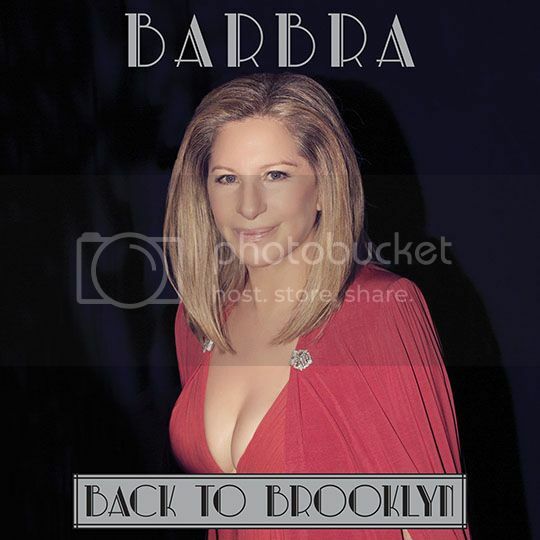 Barbra’s critically acclaimed Back To Brooklyn concert is available on CD/DVD!Get your copy now at Amazon. Back To Brooklyn sneak peek! Barbra Streisand: Back to Brooklyn coming to PBS on 29 November 2013. The “Greatest Star” Returns Home in Barbra Streisand: Back to Brooklyn on Great Performances Friday, November 29, 2013 at 9 p.m. as Part of the PBS Arts Fall Festival. The legendary singer is joined by Chris Botti, Il Volo, and son Jason Gould for two hours of hits, including nine songs she has never performed on a concert stage. Have you ever seen a real, live legend? I have. This Saturday, I went to see Barbra Streisand live in concert. Earlier in the week, she landed in Israel to participate in President Shimon Peres’s birthday celebration. But unlike many of the other famous guests, Streisand spent the week in the Holy Land, toured the country and gave us a once in a lifetime opportunity to see her performing live. Barbra’s Trip To Israel – Photo Gallery. On Sunday afternoon, Barbra arrived in Israel, in preparation for her first ever live concerts in the country. Barbra will perform two shows at the Bloomfield Stadium on June 20th/22nd. Barbra will also receive an honorary doctorate from the Hebrew University of Jerusalem on Monday. Shortly after arriving in Israel, Barbra visited the Kotel (Western Wall). Barbra on the passing of Allison J. Waldman. I was very saddened to hear of Allison Waldman’s passing Monday. She had been struggling bravely for many years to beat cancer. I knew Allison over the years as a very good writer and a kind and loyal fan of mine who created and wrote “The Barbra Files” magazine and “The Barbra Streisand Scrapbook”… she was always wonderful to me. She was dedicated to the accuracy of the news she conveyed, and she shaped her stories with great style. Barbra announces new tour dates in Europe! Following her dazzling North American tour of 2012, BARBRA STREISAND LIVE! will visit Europe this summer for five exclusive engagements with additional dates and venues to be announced soon.